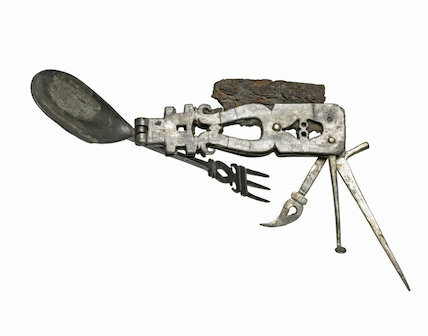 compound utensil with a three-pronged fork, spatula, pick, spike and knife. Iron and silver, height (max) 88mm, width (max) 155mm, AD 201-300. Middle Roman Period.